The premium cigars that have been chosen for the cigars of the month of May include: Romeo y Julieta, Montecristo, and Padron premium cigars. Padron Premium Cigars: These cigars are handmade with 100% blends of Dominican tobacco. These cigars are ideal for everyday cigar smokers, as well as for remarkable occasions. These cigars come in a quality type series. Each series has a one of a kind enjoyable flavors with particular features. Each cigar varies in the distinctive tastes, while having a steady and long lasting burning pace. Montecristo Premium Cigar: These brands have extravagant quality that is achieved when smoking. The Montecristo cigars range from medium to full-bodied, with having a sweet fragrance and providing a rich tropical experience. These types of cigars are handmade directly in the Dominican Republic. While being produced by hand, these cigars are rolled, wrapped, covered and include fillers. These cigars are assembled to be of the highest quality. Montecristo cigars have a taste that has a moderate tropical flavor that is pleasant, and fulfils the pleasure of smoking these cigars. The cigars can be smoked on a everyday basis or for occasions only. 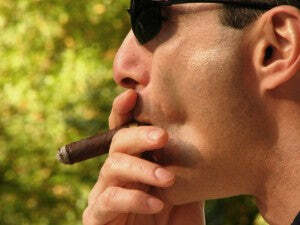 The everyday cigar smokers have an admiration for the regular experience of these cigars. Montecristo cigars burn fast but still provide the individuals senses with pleasure. The cigars are intended to provide pleasure while smoking, along with being fully savored. The Romeo y Julieta: These cigars are authentically made for the sophisticated experts in the standard cigar brands. These cigars retain a medium-bold taste that includes a hint of blended spices. With the blended spices, this is what makes these cigars highly preferable with the cigar smokers. The smokers are able to savor the robust taste while smoking. With these cigars being gracefully made and packaged, it is essential for these cigars to be placed in container that is sealed. Sealed containers keep the cigars in a moist state. With the cigars having a particularly lavish and robust taste, smoking the Romeo y Julieta cigars provides an experience that is truly for the cigar admirer to enjoy. These premium cigars have been handpicked by knowledgeable cigar makers. You can find them here at BnB Tobacco.